The 120th China Import and Export Fair (Hereinafter referred to as the "Canton Fair") grandly opened on October 15, 2016 in Guangzhou Pazhou Hall. Our booth occupies 36 m², which lies in the core area of exhibition hall for automobile and auto parts. Canton Fair this year coincides with the birthday of Jiazi (A cycle of sixty years), and over the past 60 years, the brand influence and trade results of Canton Fair continue to expand, and its internationalization, specialization, marketization and the level of information have been greatly improved. As an important window for Chinas opening up and a vital platform for the development of foreign trade, Canton Fair has always been high-profile. As to the current Canton Fair, the number of foreign visitors to our booth has a significant increase compared with the previous. In order to prepare for the Autumn Fair, our salesman does a lot of market research before the exhibition. We take part in the seminar and carefully selected some new and competitive exhibits. At the same time, we put efforts into the booth design and the display of the exhibits. For the exhibits display, we take the target display method, advocating the excellent but not the more, highlighting the main products, and not only giving customers a good experience, but also give them plenty of custom space. 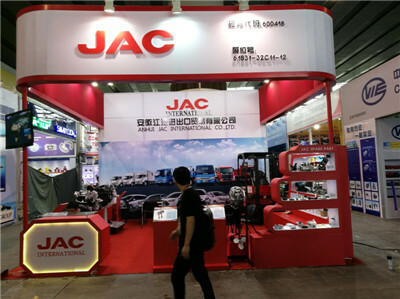 Also, our booth equips with LED display, which intuitively showcase the JAC business culture and the vigorous development to the passing customers. 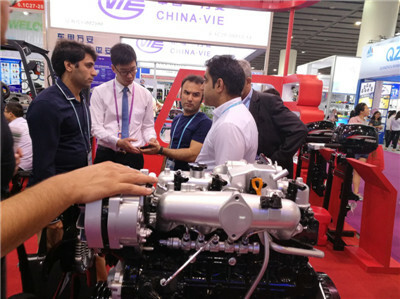 On this Canton Fair, the main products of our booth are electric forklifts, outboard motors, generators, engines, gearboxes and JAC auto parts with diversified display. Our products are plentiful and more functional. The effect of exhibition is dazzling. The businessmen for discussing come in an endless stream and even many of them on the spot show a larger purchase and cooperation intention. 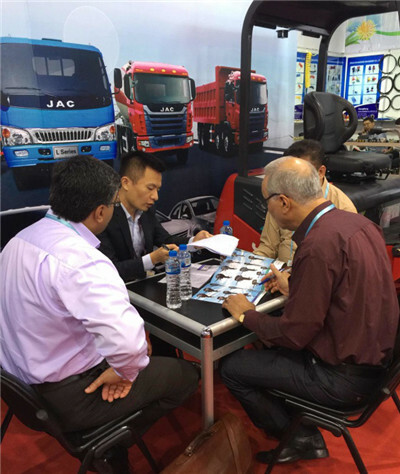 The J series electric forklift, with prominent selling points, attracts many merchants stopping to negotiate and more merchants on the first day of the opening queue up for the offer in our booth outside. 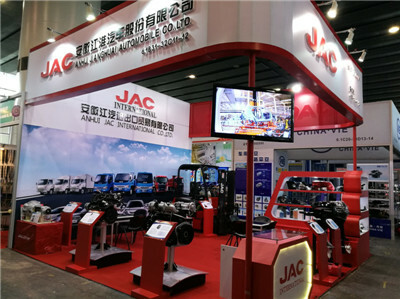 It is worth mentioning that JAC outboard motors of two strokes and four strokes draw much attention and inquiry from a large number of merchants with the highlights of a new product, high configuration, and high performance. 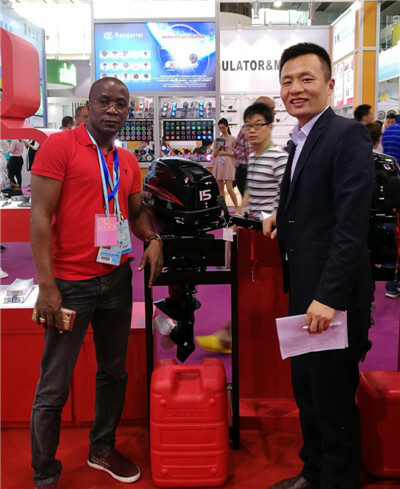 In addition, the business managers of our company in the booth at all times have invested a great deal of enthusiasm, and introduce products with careful and meticulous manner to the merchants. The professional dedication from JAC Group is worthy of praise. After the end of the Canton Fair, in order to make the largest exhibition effect, our business managers will focus on the transformation work from exhibiting results, pay close attention to the implementation of order transactions, take the initiative to follow up the possible order, and strengthen the contact with businessman who we have exchanged the name cards with.